Wrocław University, apart from academic staff, is made up predominantly by students and graduates. Some of them stay on at the University to pursue their academic career once they have completed their study programme. Others leave, but stay in touch. Below, the stories of just a few of our graduates are presented. They differ in many respects, but also share some aspects: at some point in time, all of them were acquiring their knowledge and experience at Wrocław University and all of them have enriched our institution with their personalities. PS If you have also studied at Wrocław University and want to be featured on our website, let us know. We are awaiting your e-mails at promocja@uwr.edu.pl. An MA programme graduate of the Institute of English Studies. Having defended his MA thesis devoted to post-war American literature, he began a PhD programme, focusing on American science fiction literature, particularly on humanity-related issues dealt with in selected works by American writers. During his doctoral programme, he started an intensive academic career. He is a member of the Section of American Literature and Culture at the Institute of English Studies, where apart from American literature, he also teaches the history of computer games and the history of American science fiction. As part of his scientific interests, he also studies narration in computer games. He is a member of Stowarzyszenie Badaczy Popkultury „Trickster” (Pop culture research society ‘Trickster’) and the publisher of the service PolskieGryWideo.pl. A graduate of Polish Studies at Wrocław University. He graduated in 2012, when he defended his MA thesis entitled ‘Selected problems of a cRPG computer game as a film adaptation: the figure of the hero’.In 2012, he enrolled as a doctoral student at the Faculty of Philology. His research focuses on how women are depicted in popular video games and in video game culture, with a particular emphasis on all aspects connected with ‘The Witcher’. He is a member of Stowarzyszenie Badaczy Popkultury „Trickster” (Pop culture research society ‘Trickster’), Polskie Towarzystwo Badania Gier (Polish games research association) and the Digital Games Research Association. He is a co-creator of Wydziałowe Laboratorium Gier Wideo (Faculty video games laboratory), as part of which he organises meetings to disclose behind-the-scenes secrets of work in the Polish games industry. He teaches courses devoted to the new media, e.g. the history of video games, world creation in games and game characteristics. As the editor-in-chief of the service PolskieGryWideo.pl, he popularizes knowledge of the games industry in Poland. 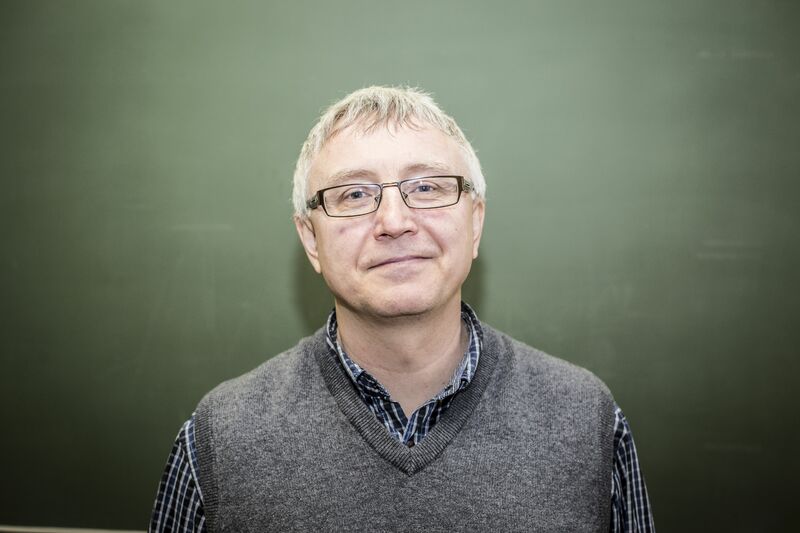 Tomek is a history graduate and – as he claims – an ordinary teacher. There is only one difference: he is passionate about travelling around the world on his own. He was bitten by the travelling bug more or less towards the end of his study at the secondary school: ‘After the secondary school final examination, you have a very long holiday and you may come to the conclusion that you can do something with your life,’ he wrote on his blog ‘Podróżuj i żyj’ (Travel and live) about the beginnings of his love for travelling. Since then, he has visited over 50 countries on four continents: Europe, Asia, Africa and North America. He has slept among illegal Algerian immigrants in Italy, he has drunk vodka with Russian police, he has seen first-hand a tornado in the US. He admits to not having a favourite means of transport. He travels by any means – by train, coach, plane – depending on the circumstances. ‘My fundamental motto is: the cheaper, the better,’ he says. During a hitch-hiking trip to China, Tomasz Korgol did not only make his own dreams come true, but he was also helping others fulfill theirs. He had become involved with the Wrocław Hospice for Children Foundation, which collects money for medicines, specialist equipment, home rehabilitation, assistance by psychologists and social assistance for over 280 families. ‘My example proves that even with a small budget, you are able to visit many countries in the world and see much more than during a package tour,’ he points out. A staff member of the Institute of Theoretical Physics of Wrocław University. In the years 1988-1983, he studied physics at Wrocław University, where he was granted an MSc in 1993 and a PhD in 1998. He specialises in the physics of gravitational effects. His research encompasses cosmology and the detection of gravitational waves, among other things. Since 2013, he has been a member of the POLGRAW group, which is part of the international team of researchers LIGO-Virgo, who in 2016 confirmed the existence of gravitational waves that had been predicted by Albert Einstein. He says about the discovery that science received a powerful tool: ‘The claim that a window to the Universe has opened is not at all any metaphor or exaggeration – this is a fact. We were given a new sense, which enables us to learn about the Universe. The most interesting thing will be, of course, what we do not expect to see. Perhaps we will notice a wave with a shape that we cannot explain using the theory of relativity. This shows exactly the importance of this discovery: the ability to study objects that cannot be seen in any other way, objects that are at cosmological distances from us, and – perhaps – objects unknown to us. The head and co-founder of the Wrocław University Simple Polish Club. A linguist and communicologist, an interpersonal and social communication coach, an academic staff member at the Institute of Polish Studies of Wrocław University, the author of the books ‘Dyskurs polskich wiadomości prasowych’ and ‘Język w grupie społecznej’, a co-author of a guide for authors of utility texts (‘Sztuka pisania’) and a guide for office workers and journalists who write about European funds. An editor of the scientific journal ‘Oblicza Komunikacji’. A co-founder of the Simple Polish Club. A linguist and a language educator. His research focuses on media and institutional discourse. An author or co-author of articles devoted to (critical) discourse analysis, corpus linguistics and glottodidactics of the Polish language. A co-author of the books ‘Jak pisać o Funduszach Europejskich?’ and ‘Język raportów ewaluacyjnych’. A member of the editorial staff of the magazines ‘Baltica ~ Silesia’ and ‘The Journal of Cultural Mediation’. A research-and-teaching assistant at the Institute of Polish Studies and a lecturer at the Wrocław University School of the Polish Language and Culture for Foreigners. A graduate of the Faculty of Law and Slavic Studies at Wrocław University. A vocalist and a song writer. 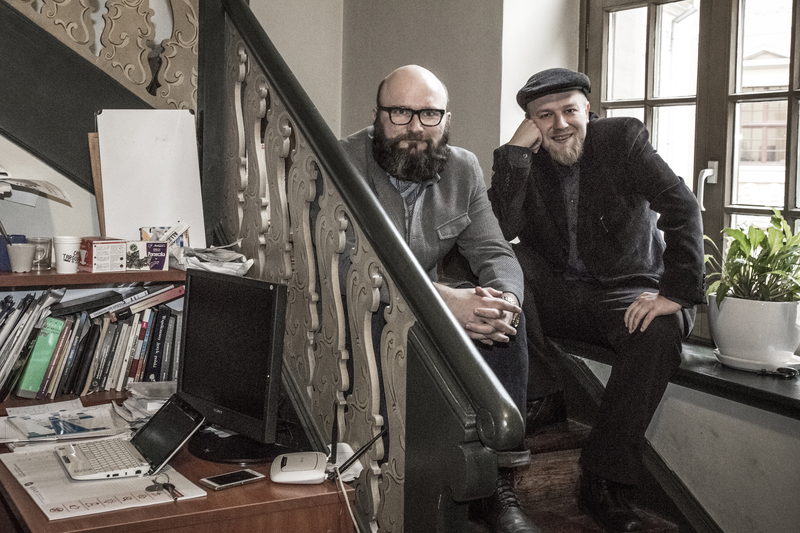 Together with guitarist Dawid Korbaczyński she established the group Mikromusic, with whom she has recorded five studio albums since 2006, filled with music from the borderland between jazz, trip-hop and folk. The group has also written music for a Czech-Slovak-Polish film ‘Konfident’ and a music show ‘Trzy wesołe krasnoludki’ (Capitol Theatre of Wrocław). She has cooperated and sung with, for instance Smolik, L.U.C., Janek Młynarski and Renata Przemyk. In 2006, she represented Poland at the Red Bull Music Academy in Melbourne. This bore fruit in the form of recordings with many foreign artists (her voice can be heard, for instance, on the soundtrack for the film ‘Grown Ups’, in the song ‘From Women to Women’ on Tor Cesay’s record released in the UK and Japan; she has cooperated with Australian producer Sofie Loisou). She is a great lover of animals. For a number of years, she has organised charity concerts in Wrocław combined with auctions of works of art entitled ‘Panny z Dobrych Domów’, whose income is used to pay for the upkeep of homeless dogs and cats. A biochemist, a biophysicist, a staff member of the Faculty of Biotechnology. Her scientific output includes a dozen or so scientific publications in international magazines and several patents; she is also a co-author of two course books and a monograph. Her professional interests include: protein-lipid interaction in biological membranes, liposomes as drug carriers, functional food, popularization of science. In the programme of cooperation between the Faculty of Biotechnology and schools in Wrocław and its environs, she acts as the coordinator of a series of open lectures ‘A biochemical basis for health’ and ‘Unknown aspects of biochemistry and biotechnology’ as well as laboratory lessons for middle schools. She is an ardent supporter of tutoring – one of the forms of personalized teaching, based on a direct relation between a teacher-master and a charge-student. A psychologist, a staff member of the Institute of Psychology of Wrocław University. She applies a scientific approach to issues related to the quality of life, transgression, individual or social factors that stimulate human development, especially in respect of creative activities. She is the author of over 70 scientific and popular science publications. She is a scientific superviser of the Interdisciplinary Club of Creative Initiatives. 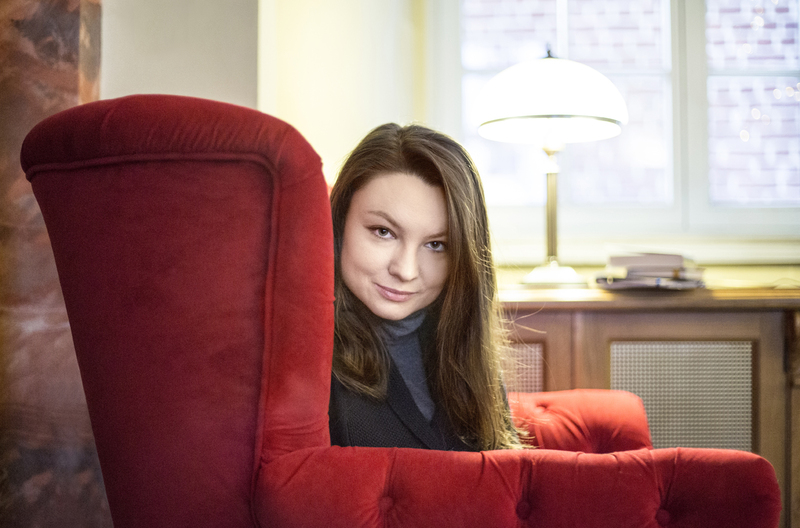 Together with Maria Stasiuk, she has popularised the concept of tutoring (not only at Wrocław University). 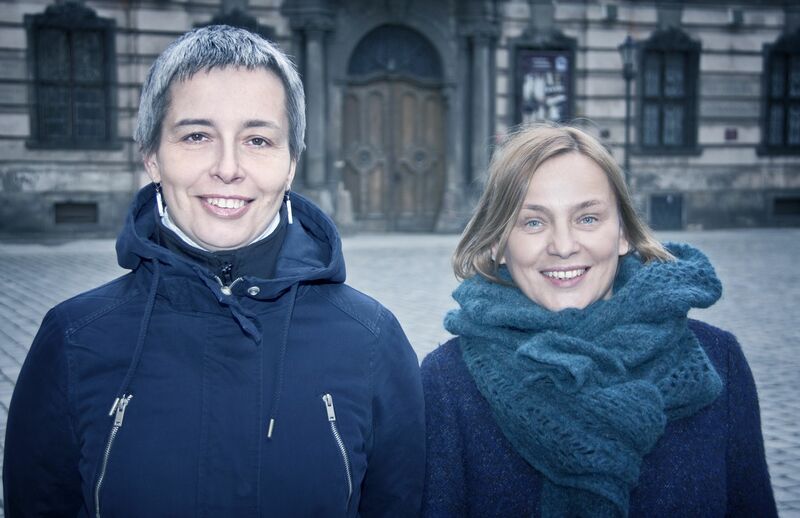 They co-created Wrocław Tutor Club, which has been in operation since 2016 and whose members are teachers who want to work using this teaching method. The President of Logocentrum. A clinical speech and language therapist, a speech and thinking disorder therapist, a public speech coach, a teacher of Polish, a graduate of a State School of Music in the cello class. She has devoted her professional life to issues related to speech and its disorders. She works with intellectually disabled children, teaches courses and provides training in clinical speech and language therapy, voice projection and hygiene, and applied drama. She has worked as a lecturer at Wrocław University, the Higher School of Social Psychology in Wrocław and the Higher School of Gniezno. She has participated in numerous scientific conferences. Her MA thesis, written at the Faculty of Philology of Wrocław University, was devoted to music quests in Polish alternative theatre. She is currently researching the theatre of the disabled in Poland in the 21st century, and writing a doctoral thesis at Wrocław University. She cooperates with foundations for disabled children and prepares individual therapy programmes. Privately, she is a mom of Pola and Michałek, a theatre, music and Wrocław lover. 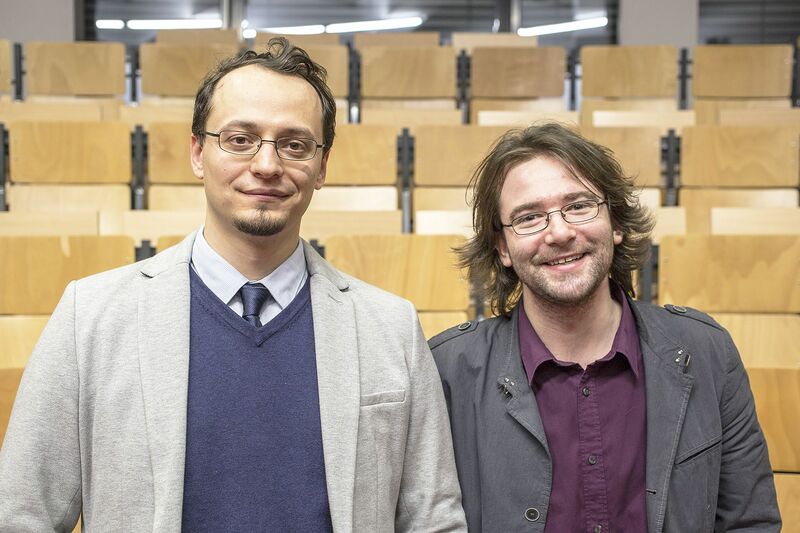 A graduate of Polish Studies at Wrocław University and a doctoral student (without success) of the Silesian Doctoral Programme of Study at the same institution, through which he was trying to become a bohemist. In the end, for various reasons, he chose journalism, although his love for Bohemian literature and culture is still deeply rooted in him. He gave up his doctoral studies, falling into disfavour with his beloved (both MA and doctoral) supervisor, Prof. Jacek Kolbuszewski just like his love for Lower Silesia. Such masters are no longer. An extraordinary, dynamic mind, open to new challenges. For this reason, the would-be doctor is still feeling bad about it. But… even before he became a university student, he had been involved with journalism. While still at the secondary school, he found his way into the Polish Radio Wrocław Station, where he doggedly edited tapes to be able to get his hands on the microphone, which he managed to do after some time. Afterwards, his roles as a radio journalist and a specialist in Polish studies intertwined, principally because of the venerable philologists who headed Wrocław’s broadcasting station and previously or at the same time were his university lecturers. However, the radio episode finished at some time as well. A printed press stage started. At the beginning, towards the end of the 1990s, there was the newspaper ‘Słowo Polskie’. The early 21st century ushered in ‘Gazeta Wrocławska’. 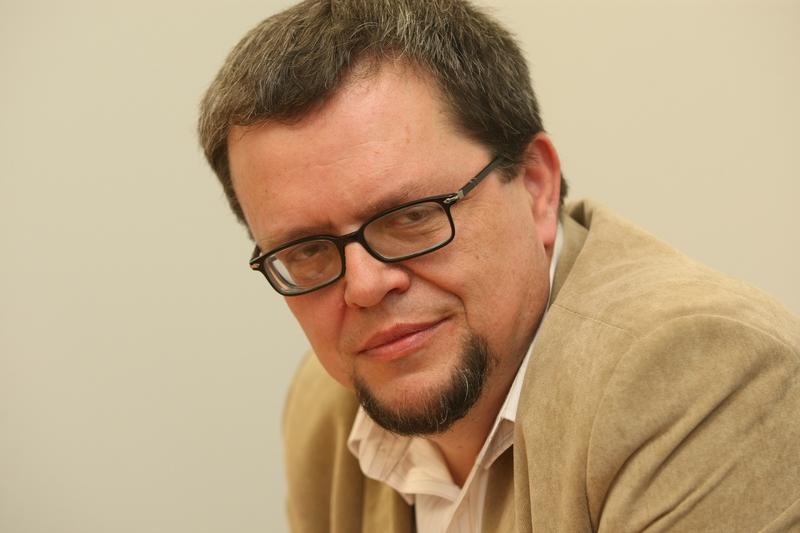 There, he went through all of the levels: from a reporter, through the head of the city section, a deputy editor-in-chief, to the editor-in-chief of that popular Wrocław daily in 2010. He loves reading. Obviously, above all, Bohemian literature, but also everything connected with the history or secrets of Lower Silesia. Both these areas are linked by the Hussite movement in the regions. Detective novels? Why not? It simply depends on the author and the book. He has gone through the entire Agatha Christie and will always love Hercule Poirot. Music? With age, more and more classical. From classic blues or hard rock to classics, so-called respected ones. There is sport as well. Mainly on the couch, but he is working on it. When he watches sport, it is mainly hockey or rugby. Why the first is clear – for years he has been rooting for the Czech national team and has passionately watched NHL. A graduate of English Studies at Wrocław University. He graduated in 1997, but even before that he had started cooperating with a small company called CD Projekt, for which he first translated game instructions and subsequently games themselves. Apart from games, he had always been interested in science fiction, which found its reflection in his MA thesis, devoted to the magical and mythic creatures populating the worlds created by J.R.R. Tolkien.That was one of the first, if not the first one, MA thesis dealing with the hobbit creator written at Wrocław University. Combining his experience gained from translation and his knowledge of role-playing games, later he got involved in creating computer games. 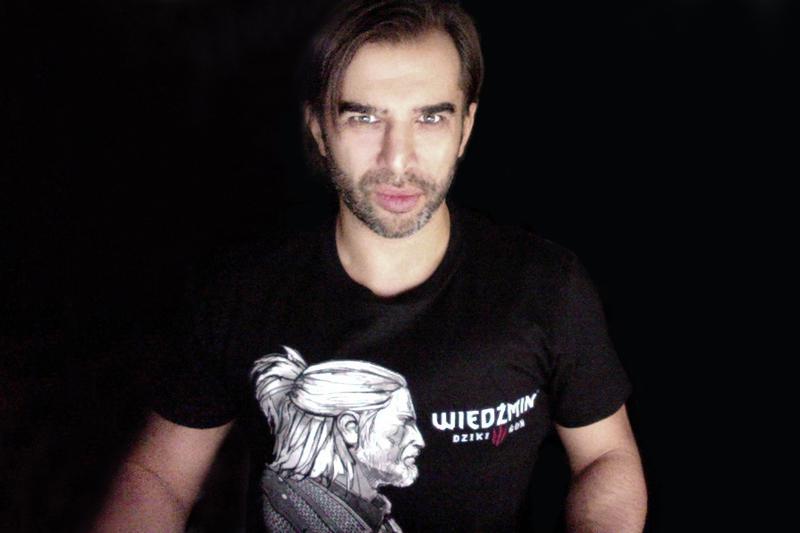 In 2003, he became the leader of the team that he had assembled himself to create ‘The Witcher’ for CD Projekt Red. After one and a half years of intensive work, he returned to localising software in his own firm, Albion, in which he still manages translations, recordings and game testing for such companies as Electronic Arts or Blizzard. So far, he has translated over 200 titles, including such well known ones as ‘Diablo’ 2 or 3, ‘Warcraft 3’, ‘Planescape: Torment’, ‘Baldur’s Gate 2’, ‘Neverwinter Nights’, ‘Assassin’s Creed’, ‘Dragon Age’ or ‘Hearthstone’. In his spare time, he is trying to counteract the passage of time, by swimming, practising calisthenics and weightlifting. He is also passionate about board games, collecting cartoons and listening to strange music, and he has also been trying to learn the guitar, so far unsuccessfully. An archaeologist. 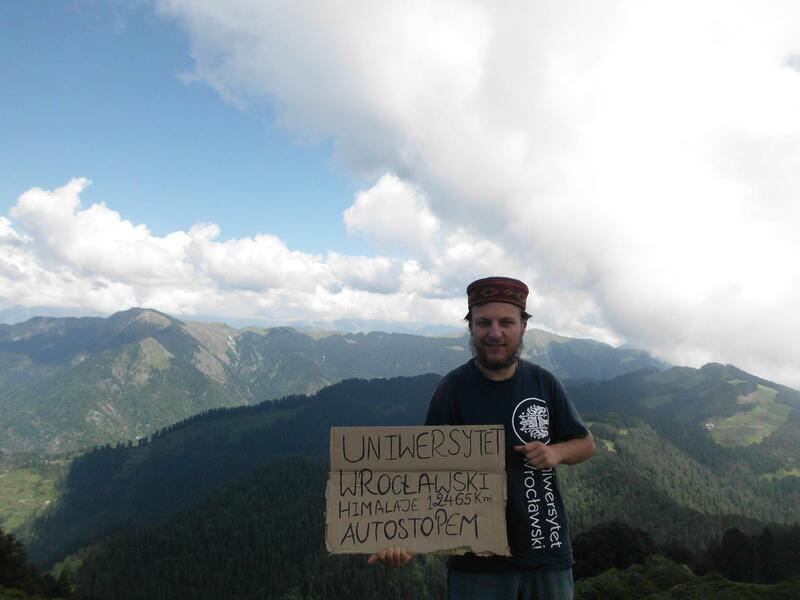 He graduated from the Institute of Archaeology of Wrocław University (speciality: oriental and ancient archaeology). He has written the book ‘Tajemnice egipskich grobowców/Secrets of Egyptian Tombs’ and numerous articles on archaeology. He has participated in numerous archaeological missions in Poland and in Egypt. 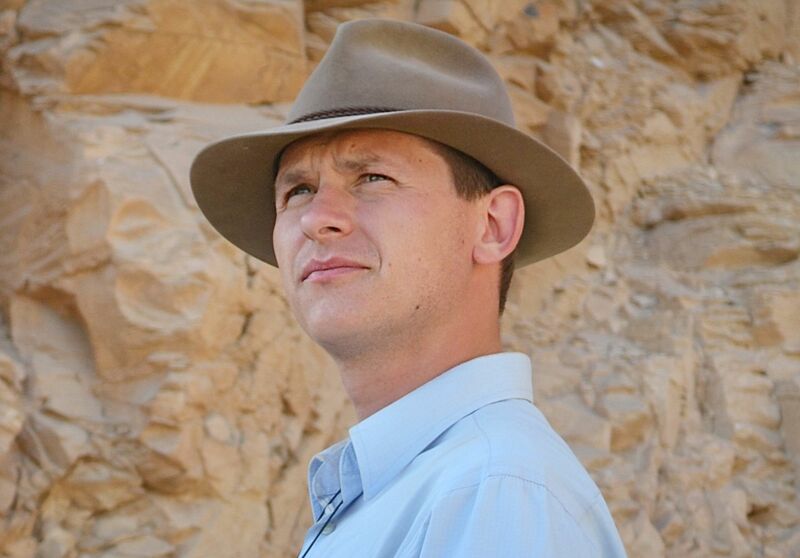 For the last three years, he has been in charge of the Asasif Project at West Thebes (Egypt). The research has been conducted in cooperation with the Mediterranean Archaeology Centre of Warsaw University, as part of the permit of the Polish-Egyptian Archaeological and Preservation Mission of the Temple of Hatshepsut at Deir el-Bahari. He is mainly interested in sepulchral architecture and customs, as well as ancestor cult in ancient Egypt. He is also carrying out excavations in Ślęża Massif, connected with human activity in the area in various periods in time. The author and curator of the exhibition ‘The secrets of Egyptian tombs’. The President of the Management Board of the Scientific Association of Polish Archaeologists, Wrocław Branch, and a member of the International Association of Egyptologists. Born in Wrocław. A collector of memories and tattoos. She loves photography and street art. Her passion is make-up (she loves making women realise their beauty). She practises yoga, respects animals and is studying metaphysics. Her motto reads: ‘Life without boundaries!’. She believes in a never-ending journey. Already as a four-year-old, she emigrated to Rome. Taking after the local youth, she matured at an accelerated rate, but she also, unwittingly, put down roots in the Eternal City, to become in part an Italian for ever. Having returned to Wrocław, she decided to devote herself to Romance studies to bring back her childhood memories. During her university study, she still visited Italy – working there as an interpreter/translator – and travelled throughout the country. In 2006, after she had acquired her BA degree, she made a decision to leave her mother country again (she claims that an inspiration for her later travels came from her university course, during which she often heard three languages: Italian, Spanish and French). She set out for Spain. While learning the language and working – for instance as a teacher of Italian – she was able to see a large part of the country. Because, apart from Italian and Spanish culture, she was also fascinated with French culture (she even dreamt of living in France), in 2011, she set out on another life journey – this time to the picturesque Provence. However, at least for the moment, her Italian roots prevailed. 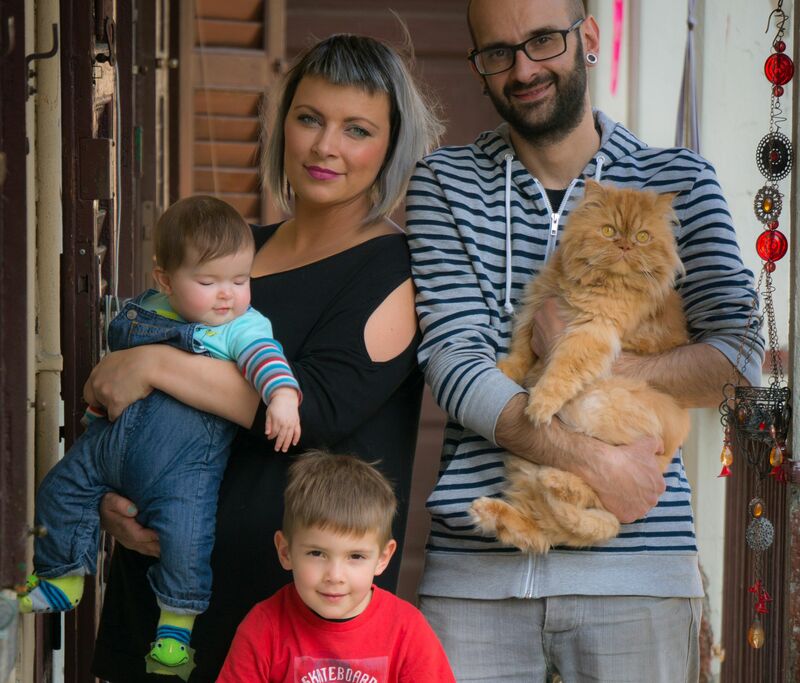 Currently, Justyna lives, together with her husband Lorenzo of Sicily, who she met at Barcelona, with her children Teodoro and Edoardo, and the cat Tiger at Cernobbio on the Como lake.